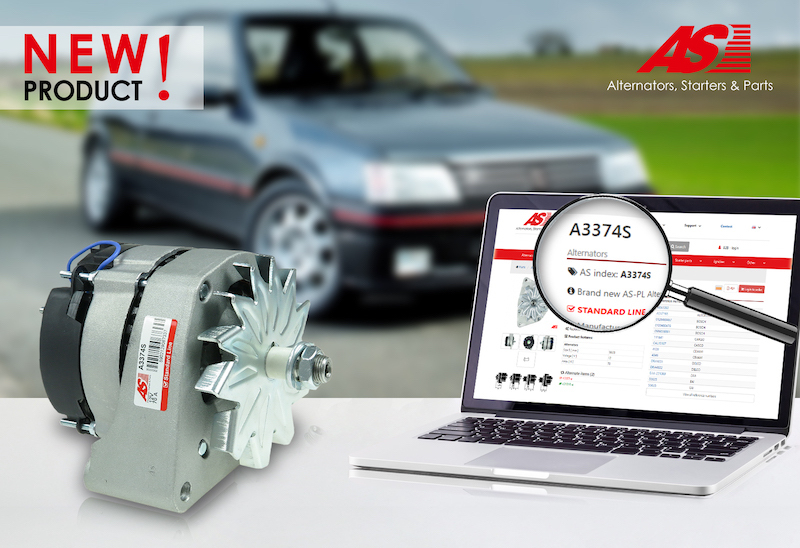 AS-PL has introduced a new Alternator with index number A3374S, which is the product of the AS brand. The new product belongs to the Standard line, which means 100 per cent reliability and start rate guaranteed by AS. The product can be used in the Citroën AX, the Citroën BX, the Citroën C15, the Peugeot 205, the Peugeot 309 and the Peugeot 405. The company has also introduced a new Starter, with index number S0655S. The new product model also belongs to the Standard line – 100 per cent reliability and start rate guaranteed by AS. The product can be used in the Audi A3, the Seat Leon, the Skoda Octavia i Superb, the VW Golf Sportsvan, the Golf VII, the Jetta, the new Beetle and the Tiguan. The final new product the company has introduced is a Starter with index number S2071S, and is the product of the AS brand. 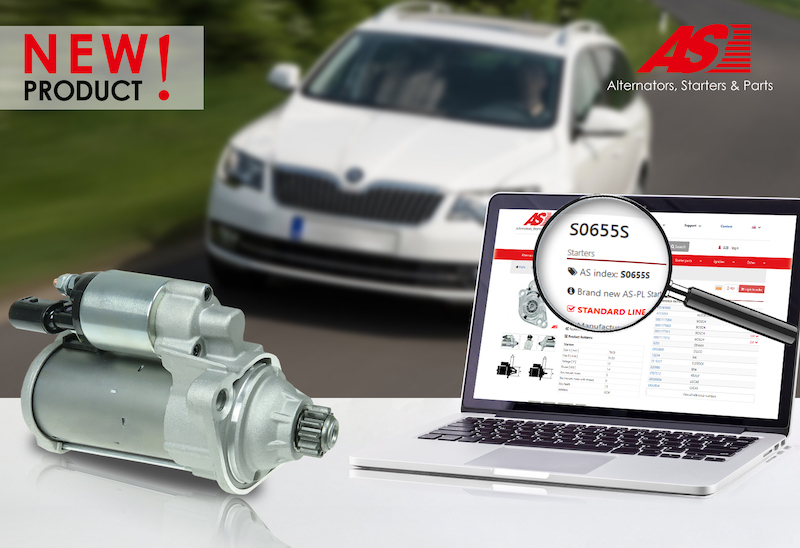 This new Starter belongs to the Standard line – 100 per cent reliability and start rate guaranteed by AS. 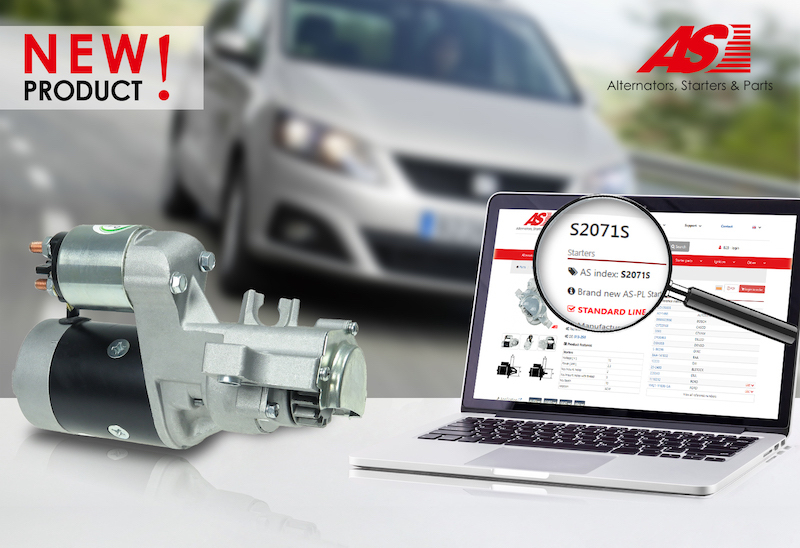 This product can be used in the Audi A3, the Ford Galaxy, the Seat Alhambra, the VW Golf IV and the VW Sharan. AS-PL Sp. z o.o. offers more than 15,000 different products with a total of almost 200,000 reference numbers. A wide selection of original products are divided into three product lines: Economy, Standard and Premium. The offered products include parts and components for passenger cars, lorries, agricultural machines, boats, motorcycles, and for the industrial market. The company says that goods offered by the company undergo strict testing procedures. Supplying reliable products tailored to current market expectations while using state-of-the-art technologies is what the company says is its most important goal and mission. All alternators and starters offered by the company are tested using specialist machinery. The test results are included in the product packaging.